Resource for London provides flexible office space, conference, training and meeting rooms and exhibition space, with over 1,500 meetings and events attracting over 150,000 people to the centre each year. 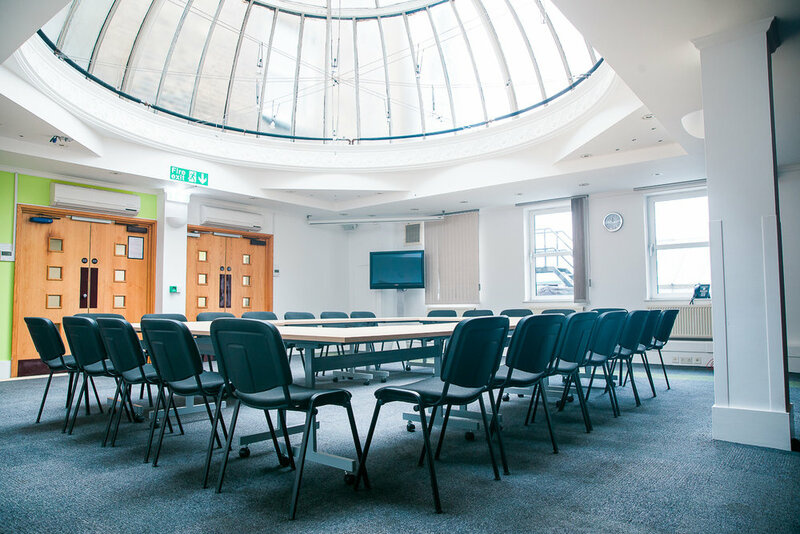 A wide range of rooms and on site catering means that we accommodate events and meetings of all sizes including larger conferences. The Centre is open to both the private and voluntary sectors. We are situated on the Holloway Road, five minutes walk from Holloway Road tube station. As a registered charity owned by Trust for London, any profits are used to tackle poverty and inequality in London. It has been designed to provide the support, accessible facilities and services that thousands of charitable organisations in the capital require to meet their needs. We also offer subsidised hire charges to the voluntary sector. Private office for anyone who needs privacy and full focus. Check a wide range fully serviced, unfurnished offices from 200-2,000ft²/18.5-185m². The right choice if you are looking for a large conference hall, a creative workshop space, or a small meeting room. Choose between conference hall, seminar or meeting rooms. With more than 150,000 people a year come through the doors of Resource for London, there is no better exhibition venue that will be seen by London's voluntary sector. Sign up with your email address to receive news about open days, discounts and promotional offers.